Nominations for WSA executive positions are open (closing 31 October 2018). All members were advised of their membership financial status on Sunday, October 14, 2018. Please do not hesitate to contact the WSA Secretary if you have any questions regarding the nomination and voting process or require additional information. 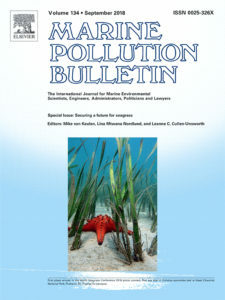 Announcing the publication of a World Seagrass Association special journal issue: Securing a future for seagrass, edited by Mike van Keulen, Lina Mtwana Nordlund and Leanne C. Cullen-Unsworth in Marine Pollution Bulletin Volume 134, p 1–232 (September 2018). Twenty six papers presenting contemporary research across the spectrum of seagrass research—see our blog post for more details. This entry was posted in communications on 27 September, 2018 by ainsley. Minutes from the WSA Management Committee–General Meeting #54 held at the National University of Singapore, during ISBW 13 on 14 June 2108 are now available. This and previous reports and other communications are available here. 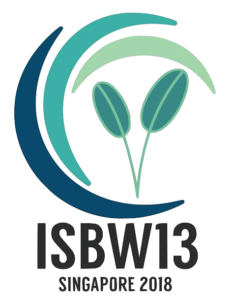 Note also that the invitation for Expressions of Interest (EOI) for the Special Issue of Marine and Freshwater Research is still open, and we continue to solicit support for The Need For A World Seagrass Day petition. 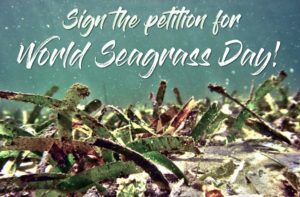 Raising public awareness on the importance of seagrass meadows is central to efforts in the protection and conservation of seagrass meadows worldwide. 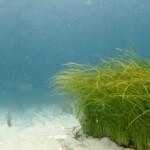 The international seagrass research and conservation community call on the United Nations to declare a World Seagrass Day to recognize the importance of seagrass meadows to the health and well-being of the planet, as well as the people, communities, flora, and fauna that rely on them. Please join us in supporting this cause. This entry was posted in communications on 12 June, 2018 by ainsley. This entry was posted in communications on 3 August, 2017 by ainsley. Minutes from the WSA Management Committee meetings #50 held on 7 April and #51 held 30 June 2017 are now available. Motions proposed and passed, and actions from the meeting have been highlighted. Minutes from the WSA Management Committee meetings #48 held on 8 September and #49 held 20 October 2016 are now available. Motions proposed and passed, and actions from the meeting have been highlighted. As previously announced the Annual General Meeting of the World Seagrass Association is to be held on the 21 December 2016. The agenda is now posted. The main business we have to address is the appointment of the new management committee and acceptance of the financial report. According to WSA Rules, as one candidate has been nominated for each position (i.e. sufficient number of candidates nominated), there is no requirement for the positions to go to election and positions will be appointed unopposed after the existing Management Committee retires at the beginning of the AGM2016. If you would like to be considered for a position on the WSA Inc. Steering Committee, please send an email to the WSA Secretary soon. A Steering committee is appointed from the general membership to provide advice to the Management Committee when requested. Steering Committee membership is chosen to reflect a cross-section of membership (e.g., geographic region, student status, etc). If you wish to attend the AGM2016 in person, that would be great, but if you cannot and wish to vote you are welcome to do so by proxy, members have been emailed a proxy form this week. You have a choice on the form to vote for each resolution. Please contact the Secretary if you need any advice or an explanation of the procedures described here. Nominations for WSA executive positions are open (closing 28 November 2016). All members were advised of their membership financial status on Monday, 14 November, 2016.